Meet fans just like yourself when you come to one of these sports bars in NY to cheer on your favorite team. Between the drinks they keep on pouring, the food they keep serving and the team spirit floating around you can't go wrong. Great beer and sports every day! Looking for a place to watch the big sports game at? Check out one of the best sports bars in New York, Standings bar. Watch your favorite team on one of 8 HD screens. Standings has all the major professional sports packages as well as college packages. Check out your favorite team's standings on the tracking chalkboard. Happy hour specials are available Monday-Friday! Menus are available for some local food joints, so come hungry and ready to cheer on your team. Standings has 25 bottled beer selections in addition to the beer on tap and wine list. Check out Standing's website to see what specials they have every day. 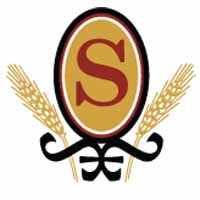 Standings is one of New York’s best sports bars for great beer and sports! Choose from 18 different beers on tap and 25 bottled beers at this NY sports bar. The Beer Garden allows guests to comfortably eat, drink, and watch their favorite sports games. Mixed drinks and specialty drinks are available at the bar as well. A full menu is offered to all guests. Sit back and watch your favorite team on the flat screen televisions that you will find at The Beer Garden. This is definitely one of the best sports bars in New York to watch the big game at. This is a kid friendly bar with a kids menu offered. 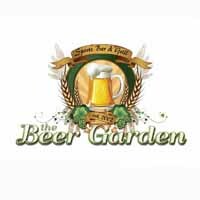 If you are looking for a fun place to go to watch any sports game, make sure to check out The Beer Garden. Eat, drink, and support your favorite teams as they play. Choose what game you want to watch at New York's best sports bar! 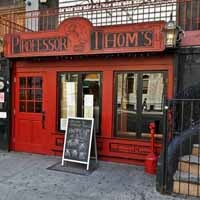 Professor Thom's is one of the best sports bars in New York. 17 LCD screens and a high definition projector fill the bar with all different sports games playing. A TV screen is on the wall next to each booth giving you the option to choose what game you want to watch. A full food menu is available as well as plenty of beer options. Large parties are able to rent out the upstairs private screening room and enjoy the game with as many friends and family members as possible. Sit at the 41 foot bar or grab a table with friends. Professor Thom's is a must go to sports bar in New York. This New York Sports bar stands apart from the rest of the sports bars because of their commitment to championship drinking. 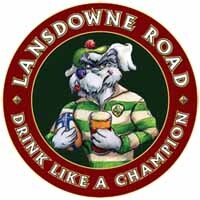 Lansdowne Road is an Irish sports bar for intense sports fans who want to not only watch the game but want to enjoy a few drinks as well. Watch the big game on the TV screens above the bar while choosing what beer to pound back. You are guaranteed to have a good time at this bar between the game playing, the shot dispensing machine, and the shot wheel that is brought out during NFL games. Spend the night with other people who are dedicated to sports as well as drinking. Enjoy bar games that are played throughout the night while rooting for your favorite team. At Lansdowne Road you feel like family. Best sports bar in NY for all Yankee fans! This is truly the best sports bar in New York, especially if you are a Yankees fan! 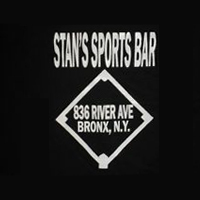 Stan's sports bar was built behind the bleachers of the original Yankees stadium and although it is no longer attached to the stadium where the team plays, Stan’s sports bar continues to support them. With 5 TV screens plastered on the walls throughout the bar, the Yankees game is always playing. For ultimate baseball fans, this is the bar you want to go to. Yankee memorabilia cover the walls of the bar and fans fill the room. Feel like you are at the game by sitting on old style wood bleachers that have been painted blue and white. For all Yankee enthusiasts, this is not a bar you want to miss. Grab a few beers and have a good time watching the game. If you aren't at the actual game, Stan's sports bar is the next best thing!